Brynshøj Put & Take is a beautiful lake in a beautiful area. The lake's owner wants both highly experienced and totally inexperienced angler will feel welcome at the lake and all the lake's guests can get a good catch. Brynshøj Put & Take offers 2 lakes. There is a large lake of 17,000 m2 in a former gravel pit. It provides good opportunities for both spin fishing and fly fishing. 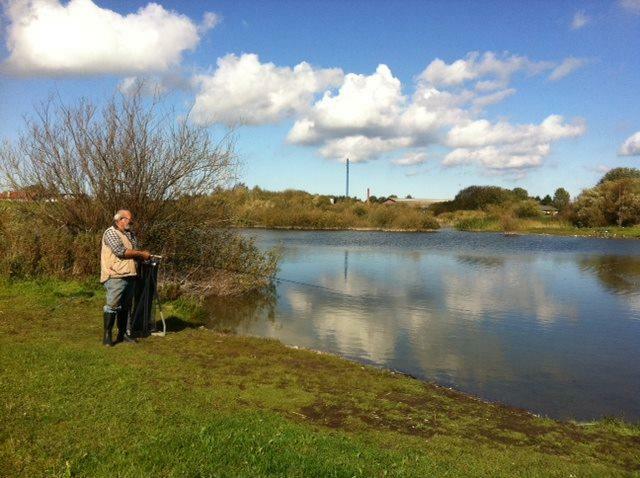 There is also a small lake for children and each child can take home 2 fish per fishing license. Facilities: Tables and benches, barbecue sites. There must be parked around the entire lake.